Ethics watchdog says administration should not be spending that kind of money just to make hollow political point. The Trump administration is under fire from ethics watchdogs after spending massive amounts of public dollars to send Vice President Mike Pence to a professional football game on Sunday just so that he could walk out. As Common Dreams reported Sunday, the entire episode was slammed as a “PR stunt” after a tweet from President Trump offered clear evidence that Pence’s walk-out was planned in advance. 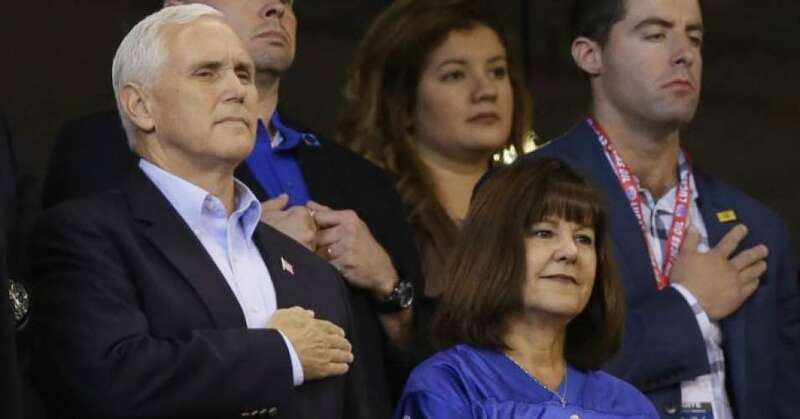 And with many pointing to the taxpayer money it took to fly Pence to Indianapolis from Las Vegas, an analysis by CNN calculated the total cost of the spectacle at about $242,500.